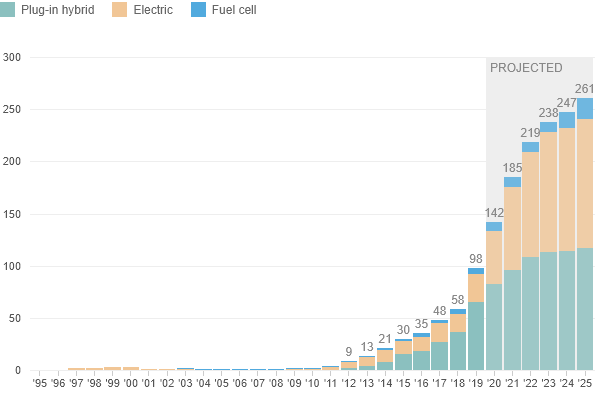 Cars using alternative powertrains, such as electric power, fuel cells and plug-in hybrids, are expected to see substantial growth over the next decade. Only two models were available in 1997, compared with 98 in 2019. Bars in the shaded area are projected totals.